I always like it when unintentional themes appear in my articles, even when they collectively represent bad news. 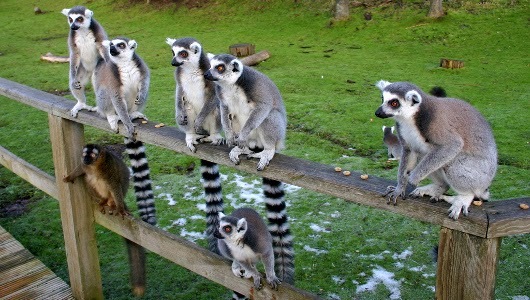 Today's article lists represents what became Lemur Week, with two articles touching upon lemur conservation. The other articles -- for Scientific American and Mother Nature Network -- also touch upon climate change, deforestation, the letter Q and other happy subjects. That's it for this time around. I have sooooo many other articles pending publication in the coming weeks and months. Make sure to follow me on Twitter for the latest links as they happen!